We are an organization founded by the NPO Hawaii Senior Life Association, Fukuoka branch and Kyushu Hula Girls on March 11th 2013. We support children who were affected by the Great East Japan Earthquake. 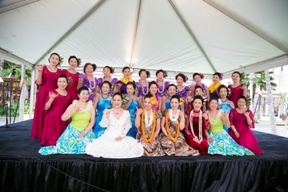 Our team was created by members of the Fukuoka branch of the Hawaii Senior Life Enrichment Association, and hula dancers in Kyushu on March 11, 2013. Our performance supports the children affected by the Great East Japan Earthquake. Our organization was created on March 11, 2013 to support the children who were victimized by the March 11, 2011 Tohoku Earthquake and Tsunami. 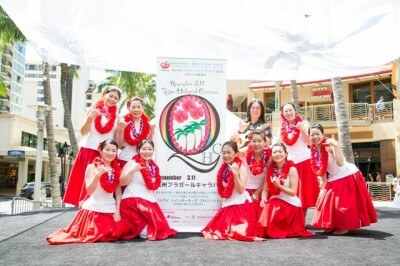 It is a joint effort between the Fukuoka branch of the NPO Hawaii Senior Life Association and Kyushu’s Hula Girls. We support the “Rainbow for Japan Kids” fund raising project sponsored by the Hawaii Senior Life Association.